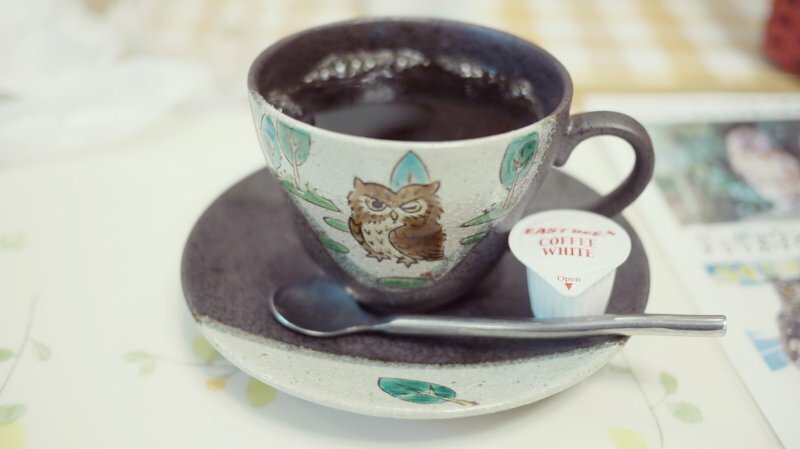 You might have heard about neko cafes, these cat cafes where people are able to sip their coffee while petting cats. 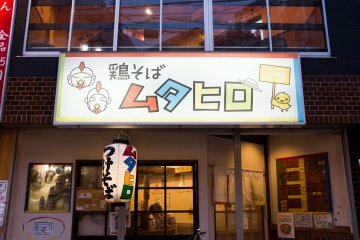 They are excellent for relaxation and widely spread around Tokyo. 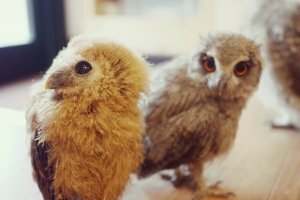 But have you ever heard about other types of animal cafes? 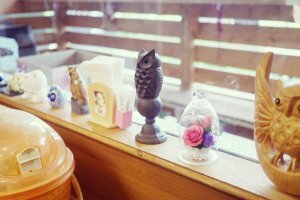 There's indeed so much more than cat cafes in Japan! 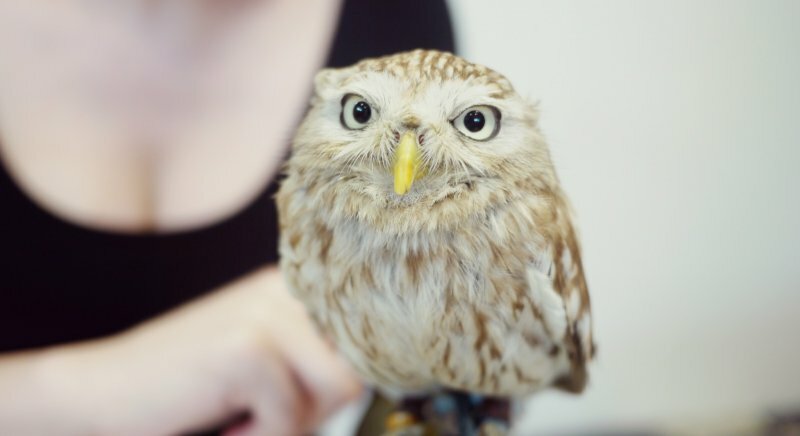 Goat cafes, rabbit cafes... and even owl cafes. 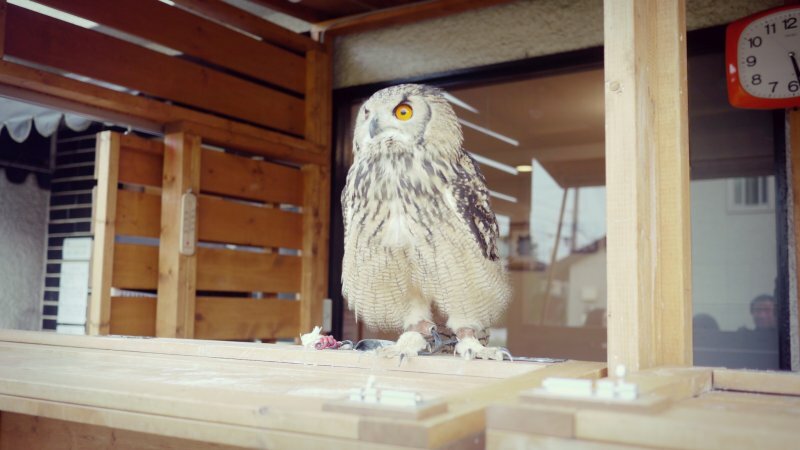 Owl cafes are a great alternative if you are allergic to cats. 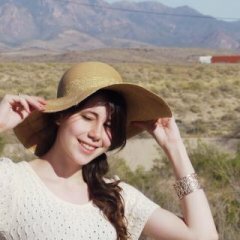 Most of them are in the suburbs, so they make a good opportunity to visit a typical residential area, far from the electric dynamism of the city center. 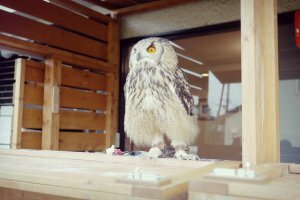 The owl cafe I decided to visit is located on the Chūo line, at Kokubunji ​station, about 20 minutes away from Shinjuku station. 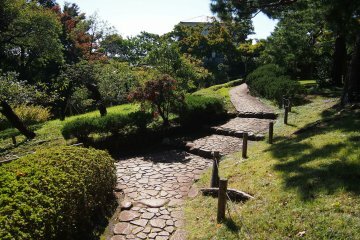 The city of Kokubunji ​is quite small and pretty. 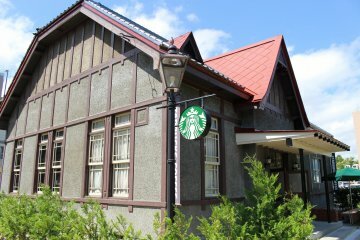 As the café is about 10 minutes walk from the station, you can enjoy a short walk in the residential area. 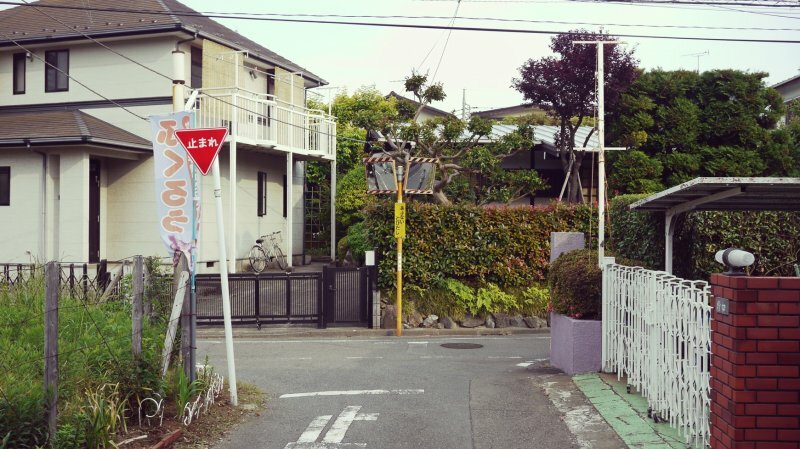 You can walk past typical suburban houses, and if you pay attention, you'll notice that they are a little less packed than areas closer to central Tokyo, giving you a feeling of more personal space. 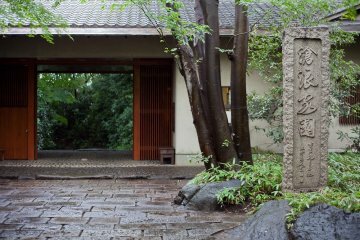 If you take time explore the residential alleys, you may even notice that some houses have the luxury of possessing small gardens, and they sometimes display a collection of beautiful bonsai trees. 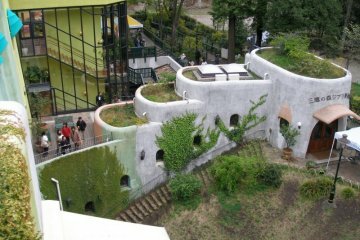 The cafe itself is in a little yard down a residential street. 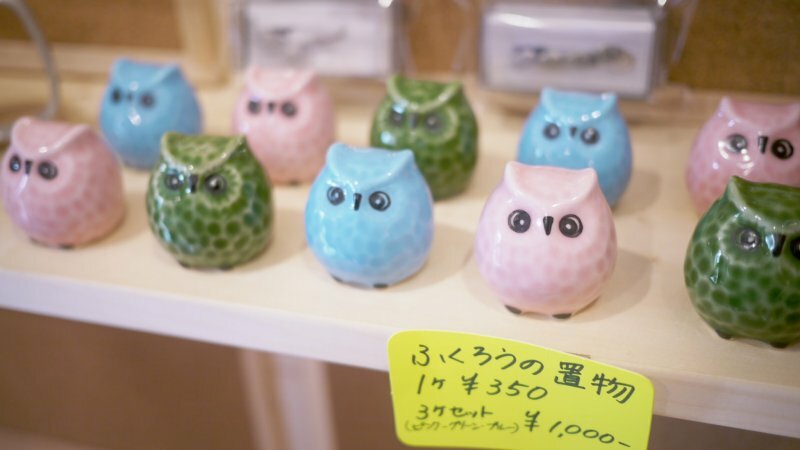 You won't miss the wooden booth in the front of the shop where some of their most impressive owls may stand. 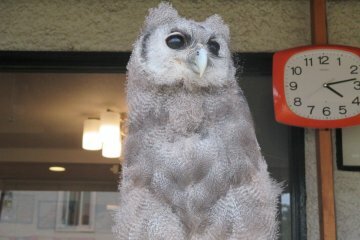 During my visit, a gorgeous Eagle-Owl was watching the neighborhood from his perch. 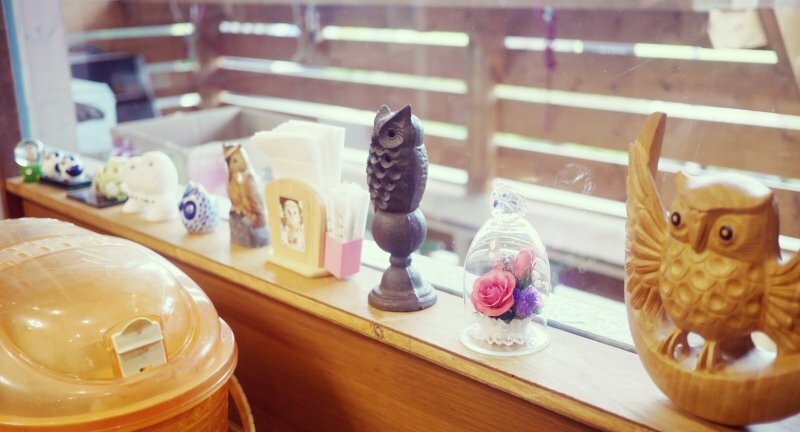 While the inside of the cafe is very small, it is cute and comfortable. 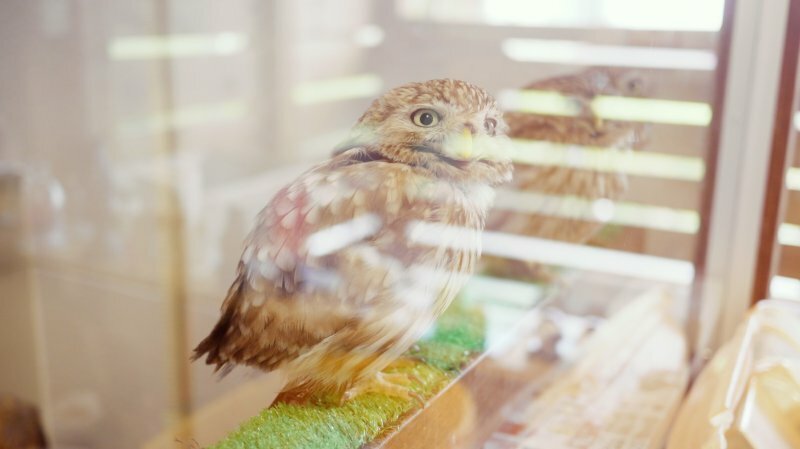 You can see the owls through little glass displays. There are from all kinds of races and ages, so it makes it really enjoyable to watch and appreciate their diversity. They are furthermore very silent and won't disturb you while you relax. As long as you take a drink (coffee is around ¥500) you can take pictures (without flash however) and have a walk around the shop. 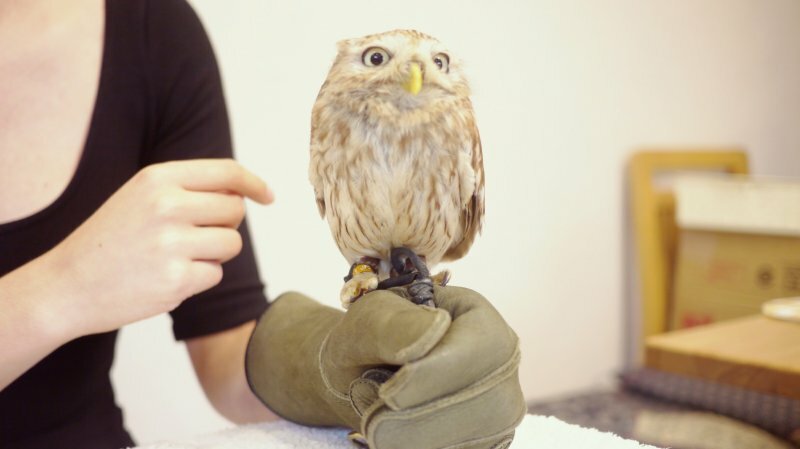 For a few more yen, you can even ask to hold an owl on your own arm! 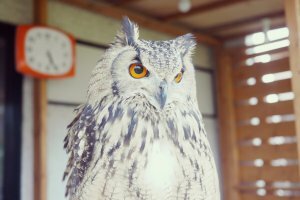 Prices for the petting start from ¥300, so they are pretty affordable and are definitely worth the experience. 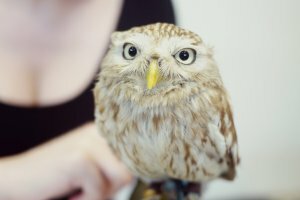 I've also had the chance to see them clean a cage: they free the little owls in the shop and let them walk around while cleaning it. I'd say it was a great experience if you like pets. I'm not much of a bird person myself, but I really enjoyed this visit. 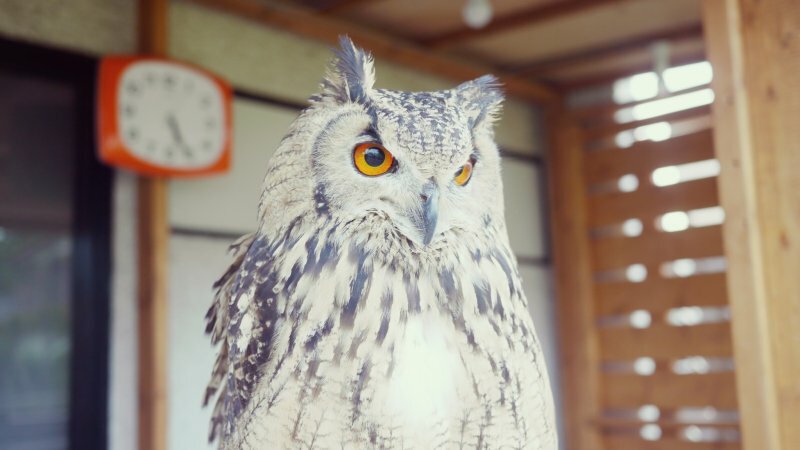 I recommend you to come in the late afternoon so you may have a chance to see them clean the cages. However, please note that there is no parking lot on the premises, so you should come by train, or park in the shopping center and stroll here. 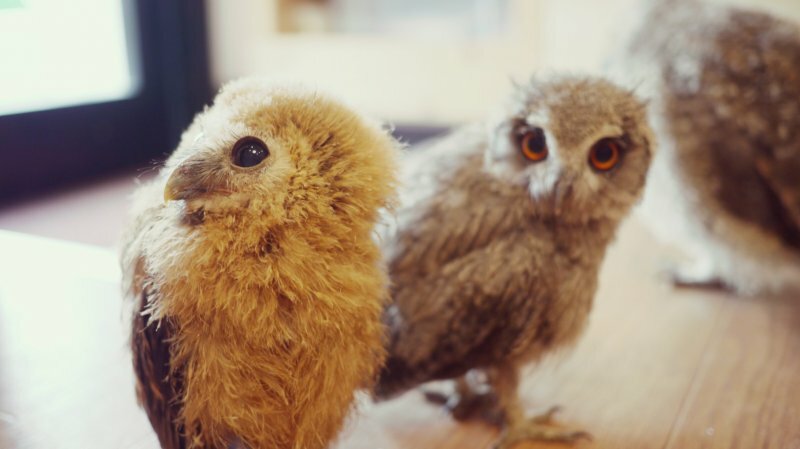 They look adorable and yet scary all at once! Those gloves are pretty intense! 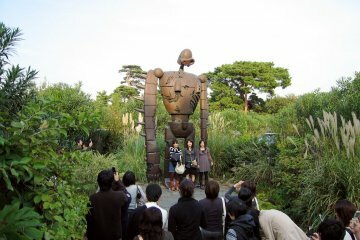 I'd like to visit it! Thanks for the information! That district is familiar! 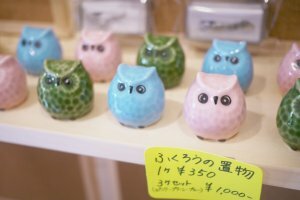 This place is quite cheap compare to other owl cafes!